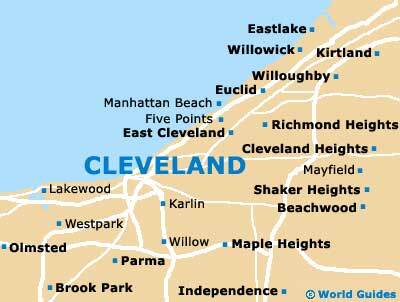 For holiday makers and visitors looking to play some golf during their time in Cleveland, the local courses and clubs will certainly oblige. One of the most historic is the Beechmont Country Club, which dates back to the 1920s and is sited on the eastern outskirts of the city, in between the Eton Square and Landerwood Plaza shopping centers. Located on the south-western side of Cleveland, in the Fairview Park area and next to Ryler Field, is the Little Met Golf Course and its somewhat larger neighbor, the aptly named Big Met. Also on this side of the city its the Mastick Woods Golf Course, the South Mastick Picnic Area, the Bain Park Cabin and the Westwood Country Club. Beechmont Country Club is home to a large, private 18-hole course. Known for its numerous water hazards, the Beechmont Country Club has good general golfing facilities and a par of 71. Built in the 1930s, the Little Met Golf Course is a small nine-hole course, featuring sandy bunkers and scenic surroundings. This course is particularly appealing to less experienced golfers and is part of a group of six courses in the area. The Big Met Golf Course originally began its life named simply 'Course No. 1' and has since grown in stature to become one of the most played in the whole of Ohio. The original design has been updated and improved over the years, including the lengthening of several holes and the introduction of an irrigation system to keep the fairways nice and green. 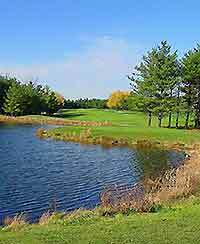 Part of the Metroparks courses, Mastick Woods Golf Course comprises nine holes and offers particularly inexpensive fees. Mayfield Country Club is home to a large 18-hole course which was first laid out around 100 years ago. The well-maintained fairways are lined with mature trees and surrounded by scenic views and sloping greens.